America is a relatively young nation, but history abounds in New England where the country's first settlers planted roots. From the dark days of Salem's witch trials to the rebellious ride of Paul Revere, New England is rich in antiquity. Through those trials and triumphs, great traditions were born, many of which are still seen and celebrated today. Cruise the coastal waters of New England and you'll spy classic New England homes clad with gray shingles next to magnificent lighthouses. Pop ashore for an old-fashioned clam or lobster bake. America's yachting tradition began in these coastal waters. 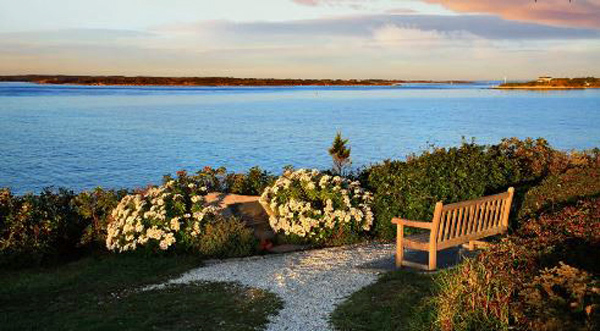 The beautiful islands of Nantucket and Martha's Vineyard are summer havens for New Englanders who wish to escape the city heat for the relaxed breezes of the northern Atlantic Ocean. Wander the cobblestone streets while enjoying an afternoon ice cream and pursuing the antique markets and you're sure to fall in love. From the modern metropolis of Boston to quaint fishing villages like Block Island, the best way to experience New England is by sea on board a crewed, luxury charter yacht. New England is spectacularly beautiful and full of history and charm, making it the ideal location for a summer yacht charter vacation. Its quaint port towns, sandy beaches, romantic islands, small shops and art galleries, and fine restaurants ooze understated elegance. There is a long tradition of fishing and sailing that is apparent at every stop. New England is an adventure playground for children and parents alike. There is ample of watersports, rock concerts and fabulous food (especially for seafood lovers!). This historically astonishing destination has incredible monuments and you can't just go once to see it all, but you will be more than happy to come back for another sailing vacation. Here are a few events you might find interesting. Of course, there are lots of things going on. Just do a quick search for "events in Nantucket 2018", for example, and you'll find sculpture & sandcastle day, Boston Pops concert, film festival, comedy festival, etc. New England also has great kite flying. It is a beautiful sight to see. One of Newport's most spectacular Gilded Age mansions, Rosecliff, plays host to this annual celebration of all things horticultural, including garden displays designed around a changing theme. Enjoy demonstrations, a marketplace, a champagne-and-jazz brunch, and more. Newport Polo, host of the Newport International Polo Series XXVI, is the home of the Westchester Polo Club, America’s first polo club, est. in 1876, and founding member of the United States Polo Association, offering public exhibition matches and polo club member services for grass & arena polo, and polo instruction year-round. Folk music has been a presence in Newport since 1959 when the Newport Folk Festival was founded by George Wein, founder of the already well-established Newport Jazz Festival. The venue for this event is Fort Adams, situated at the mouth of Newport Harbor with panoramic views of the Newport Bridge and the East Passage. The festival at the Fort features three stages of music, food & crafts, and a number of displays. The festival plays homage to Charles Lloyd’s 80th birthday and features three full days of jazz on four unique stages on the grounds at Fort Adams State Park situated at the mouth of Newport Harbor with panoramic views of the Newport Bridge and the East Passage. The festival features four stages of world class musicians, food, and crafts and a number of exhibits. Located on the island of Nantucket, this boutique experience of world class wines and award-winning food will forever change you. Over the past 21 years, the Nantucket Wine & Food Festival has become one of the most celebrated wine and food events in the country. Over 100,000 people are expected to descend on Yarmouth for this homage to the clam, and they’ll be bringing their appetites: From start to finish, more than 6,000 pounds of clams (along with 6,000 lobster rolls, 2,200 pancake breakfasts, and 400 homemade pies) are expected to be consumed this weekend, making it one of the most delicious Maine summer events on record. The Maine Lobster Festival is five days of fun and feasting on the fabulous coast of Maine! What started as an idea for a local marine festival to revive Midcoast Maine communities has turned into an internationally-recognized celebration of local seafood. The Maine Lobster Festival attracts visitors from as near as Owls Head, Maine, to visitors from countries throughout Europe and Asia! This post is getting a little long so we'll do another one for a 7-night sample itinerary. Send us your parameters for a selection of yachts and availability. Today we searched the calendars for catamarans who are available for all-inclusive, crewed New Years charters in the Virgin Islands. We're quite pleased that there's still a good selection of yachts to choose from, ranging from a 2-person charter to a party of 10. Today we searched the calendars for catamarans who are available for all-inclusive, crewed Christmas charters in the Virgin Islands. We're quite pleased that there's still a good selection of yachts to choose from, ranging from a 2-person charter to a party of 10. Can't believe 8 months have passed since Hurricane Irma. Hurricane Irma hit the Virgin Islands on September 7, 2017 followed by Maria about 2 weeks later. Things are getting so much better all the time. Wonderful Beatle tune. Here is an example from News Of St John. Enjoy the pretty pictures and happy people. Did you find that inspiring? It is beautiful in the Virgin Islands. Come on down and experience the islands on an all-inclusive, crewed yacht charter sailing vacation. The Willy T is back! Well, almost... It soon come! 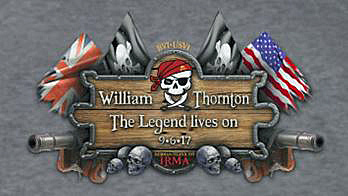 The Official Willy T Fan Club reports: "The William Thornton floating bar is finally on her way back home! The Willy T should arrive back at the Bight at Norman Island sometime between May 13th - 15th! We are looking forward to seeing all of our friends and family from all over... it's been too long! See you soon! BVI Strong!" 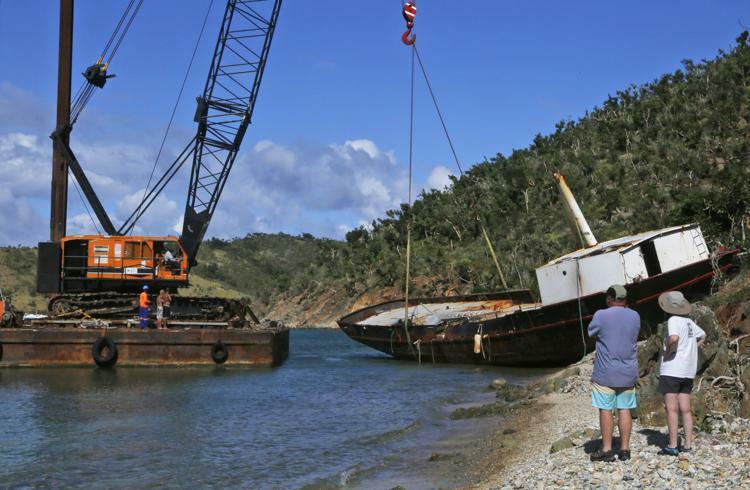 The Willy T is a floating bar and restaurant located in The Bight at Norman Island. It has been a top attraction for more than 35 years. The new boat is almost an exact replica of its predecessor (a bit bigger) and can be enjoyed at the same location. Here's an Associated Press photo of removing the Willy T's off the beach where it ended up after Hurricane Irma back in September 2017. Visit their WEBSITE and buy an Official Hurricane Irma t-shirt.